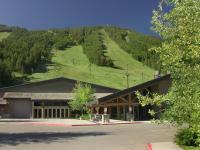 Here are the top hotels for your Meadowlark ski trip! 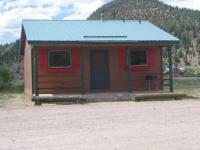 Dating from 1916, this traditional brick hotel is 2.4 miles from the Museum of Flight & Aerial Firefighting and 15.7 miles from the Red Gulch Dinosaur Tracksite. Guest rooms and suites have TVs, coffeemakers and free Wi-Fi. Amenities include complimentary continental breakfast, plus a living room with a TV and a microwave. A coffee shop serves lunch, and there's a basement restaurant converted from a former speakeasy. 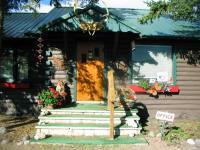 Set in Bighorn National Forest, this rustic, mountain inn is 7.5 miles from Sibley Lake and 25.1 miles from Medicine Wheel. Functional rooms offer coffeemakers and TVs. Casual, 2-bedroom cabins add separate living areas, full kitchens and sofas. Amenities include an indoor pool, a hot tub, a game room and a fireplace. There's a restaurant and a bar on-site, plus conference rooms. All-terrain vehicles and snowmobiles are available for a fee. This hotel in Buffalo, WY features a restaurant, bar, and is pet-friendly.